If you file under Chapter 7 of the Bankruptcy Code for protection from your creditors, the bankruptcy trustee may sell your assets to pay your debts. After these assets are sold and your bankruptcy case is closed, your remaining eligible debts are discharged. Bankruptcy rules require that you disclose all your assets to the trustee, including your home, car, jewelry, investments and any other tangible or intangible thing of value. The definition of asset also includes any lawsuit that you may have filed or that you have the right to file. Since you may have a right to recover money for your personal injury claims, the bankruptcy laws automatically transfer any rights you have to damages to your bankruptcy estate under the control of the trustee, even if you do not disclose it to the court. The bankruptcy trustee has the authority to take control of the assets of your estate for the benefit of your creditors. Under this authority, the trustee may take control of the lawsuit and pursue your personal injury claims. If the trustee is successful in getting a settlement or judgment against the defendant, any proceeds will likely go to your creditors. If the trustee recovers more money from the defendant in the personal injury suit than you owe your creditors, you will be allowed to keep the excess funds. Chapter 7 bankruptcy rules allow you to exempt up to $21,625 of your personal injury claim from forfeiture, as of 2012. These exemptions are intended to allow you to keep sufficient property so that you can maintain shelter, transportation and employment. Some states also allow you to use a wildcard exemption for any asset of your choice, which you may also elect to apply to your personal injury lawsuit, in addition to any other applicable exemptions. The law protects some types of claims from forfeiture to your creditors in bankruptcy via automatic exemption. The bankruptcy trustee is not permitted to seize any compensation you may receive as a victim of violent crime or any awards for worker's compensation. These exceptions do not apply to damages awarded for pain and suffering. Therefore, to prevent your creditors from taking any pain and suffering awards, you must apply an asset exemption. Failure to disclose your personal injury claim to the bankruptcy trustee may cause you to lose your rights to recover any money in your lawsuit. The defendant may seek to dismiss your case because the bankruptcy trustee possesses your right to sue after you file bankruptcy. If your bankruptcy is still pending at the time you are litigating your personal injury claim, you may be allowed to amend your bankruptcy to include your lawsuit. 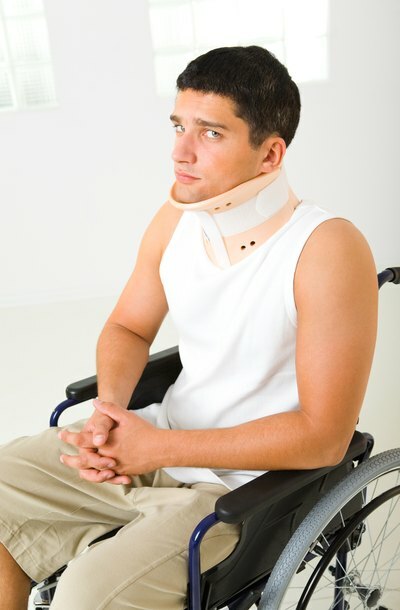 Massachusetts Bankruptcy Blog: Will I Lose My Personal Injury Settlement in a Bankruptcy? Schulman Dubois, LLC: Can Bankruptcy Affect My Personal Injury Case?